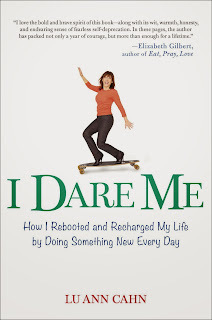 After seeing Lu Ann Cahn and her fabulous sounding memoir, I Dare Me, at Chick Lit is Not Dead, we knew she'd be a great fit at CLC! 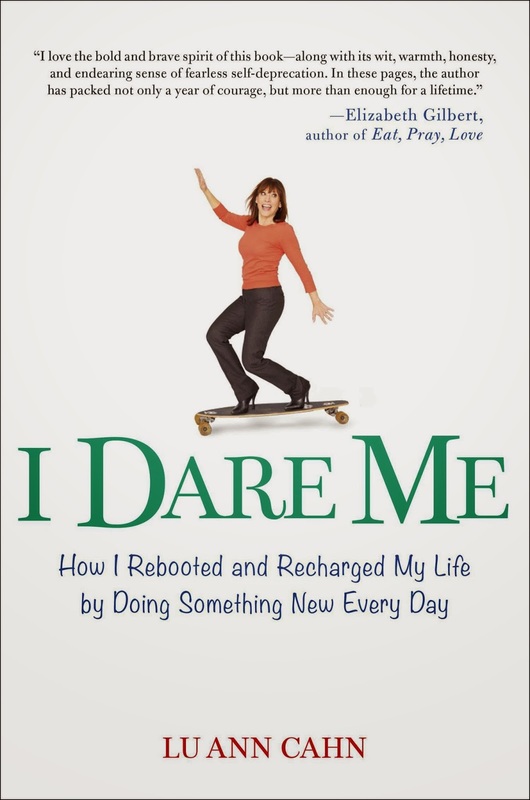 I Dare Me is about Lu Ann's inspirational and humorous year-long journey in 2010 to get her life “unstuck” by doing something new every single day. 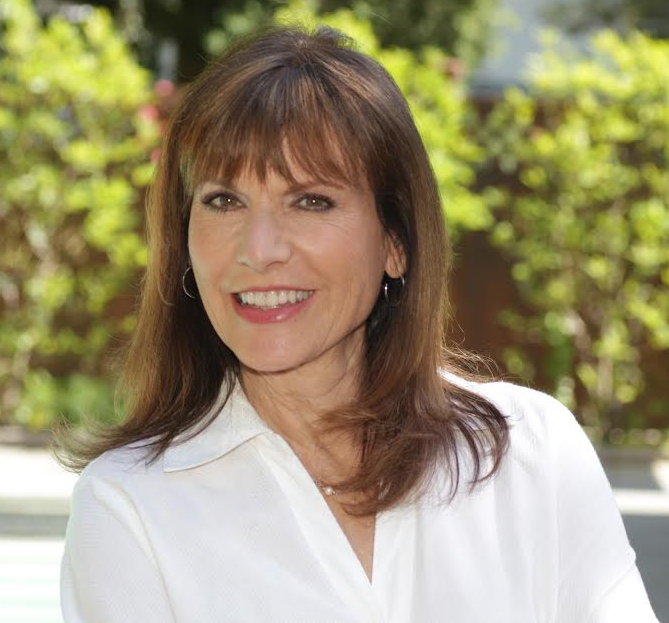 The 53-year-old author discovered that simply taking daily risks—some large, some small—had a cumulative effect, a sort of “refresh” button when she felt angry and stuck. Now that we're at the beginning of a brand new year, we hope I Dare Me will be an inspiration for trying something new, at least once. She's even doing something new here....helping us kick off our Fairy Tales and Disney theme! From the looks of it, she hasn't been asked some of these questions before (at least not by a book blog). Thanks to Matthew Vlahos Public Relations, we have TWO signed books for some lucky US readers! 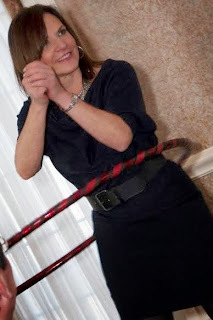 Visit Lu Ann at her website, Facebook and Twitter. What is the most unusual fairy tale you've ever heard/read? Oh boy. Not up on my fairy tales lately. Maybe it would be a good First to go back and revisit them. I would say Rumpelstiltskin always terrified me though. That's a freaky fairy tale. Does Anastasia count? I guess that's really based on a true story/ legend. Not exactly a fairy tale. Another female character with lots of chutzpah. I think I'm failing this test. Can't remember a single one. Back to fairy tale school. The Pied Piper. Did they do that one yet? I can see lots of little evil rat characters. Of course they'd have to create a smart female character. Maybe the Pied Piper was really a woman in disguise....there's a twist. Belle from Beauty and the Beast. I love her spirit and heart and the songs are gorgeous. From The Little Mermaid...."Part of Your World." My daughter and I used to sing that song around the house at the top of our lungs. Thanks to Lu Ann for helping us kick off a new year AND our theme month and to Matthew Vlahos PR for sharing her book with our readers. US only. Giveaway ends January 7th at midnight EST. This year I'd like to be able to take a vacation with my family! The past 2 years we haven't been able to take one due money issues. This year I would like to be able to read more books than I did last year. I would like to travel around the country and visit with my son and all of my husbands kids. They should animate Hansel and Gretel. I think Rumplestiltskin is a really cool story. They could do that. I'd like to try parasailing. It looks like fun. I'd like to go on a vacation. I haven't gone anywhere for the past 5 years. I would love to relax and travel more this year with my family and friends. The fairy tale Disney should make into a movie next - hard question.....Goldielocks. This book sounds amazing! What a great New Year's read. I hope this year to write more and take better care of myself.